Built a full stack trivial pursuit app with React and firebase. Mentored Front End Web Development students. Upgrading my skills while getting settled and renovating our new house in Louisville. Used repeatable UI patterns and AngularJS components to build or update features from spec. Updated legacy apps to be fully responsive, localized and accessible. Led CSS to SASS codebase conversion based on company style guide. Interface prototyping and user testing. Bug fixes. Unit testing with Jasmine. Small agile team using Jira, Fisheye and Confluence. Coding bootcamp. Built full stack projects in Rails, Express and AngularJS. "Adam is hard-working and dedicated. He helped our team immensely in improving our UI and semantic HTML. In addition to his great eye for aesthetics, he improved our CSS by converting it to a scalable modular SASS architecture. He would be a great addition to any organization." 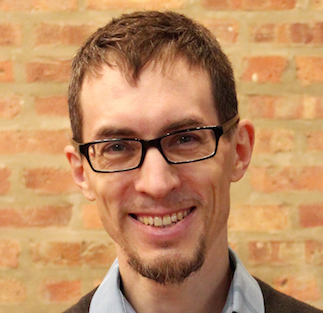 "Adam has a great eye for design and an intuitive understanding of UX issues. At WebCheckout, he began contributing quickly. Adam worked to get the team to buy into adopting user testing. He is organized and meticulous, and he possesses a special kind of enthusiasm and drive to learn that would make him a great asset on any team."